История эта очень трогательная. Читая её, многие плачут и не стыдятся слёз. Взгляните на эти фотографии. Два щеночка – братик и сестричка. Будем надеяться, что найдётся любящая семья, и этот удивительный щенок обртёт дом! Описанный случай ещё раз показывает, что у животных есть эмоции. Хотя многие это отрицают. А как считаете Вы? Есть у животных эмоции? Или нет? If you think dogs don’t have emotions, you’re about to be proven dead wrong. 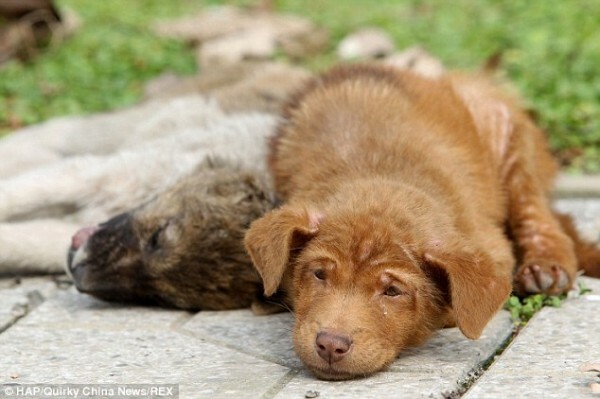 Two three month-old puppies were spotted in the middle of the street in southwest China’s Sichuan Province, refusing to move. 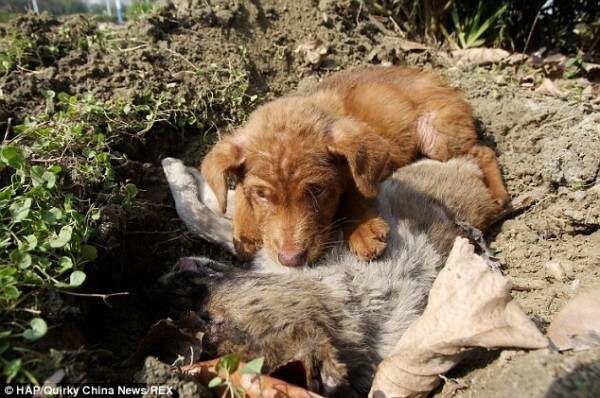 Upon closer inspection, it was discovered that the grey puppy was dead, perhaps hit by a car, and her brother wouldn’t leave her. For days, he stayed by her side and barked if anyone got too close to her body. 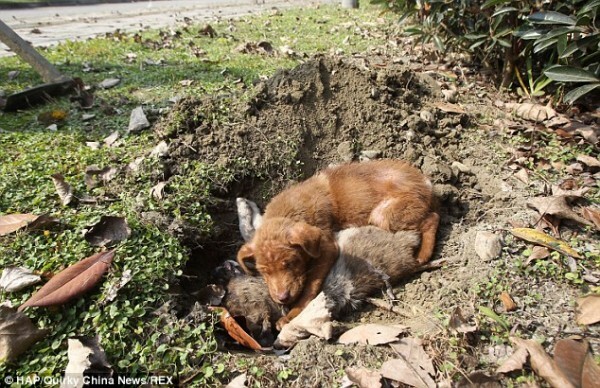 Even when a hole was dug for her body, her brother jumped in and refused to leave. 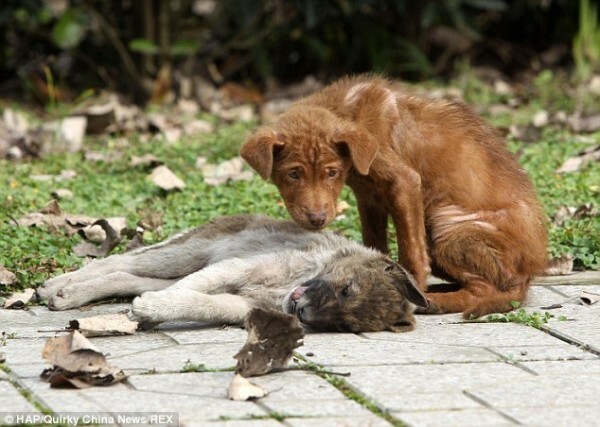 Eventually, the local animal shelter collected this heartbroken puppy, buried his sister and began caring for him. If you want to see true love and loyalty, just find a dog. They know how to love from the depths of their souls.